Human anatomy is the study of the structure of something, in this case a human. 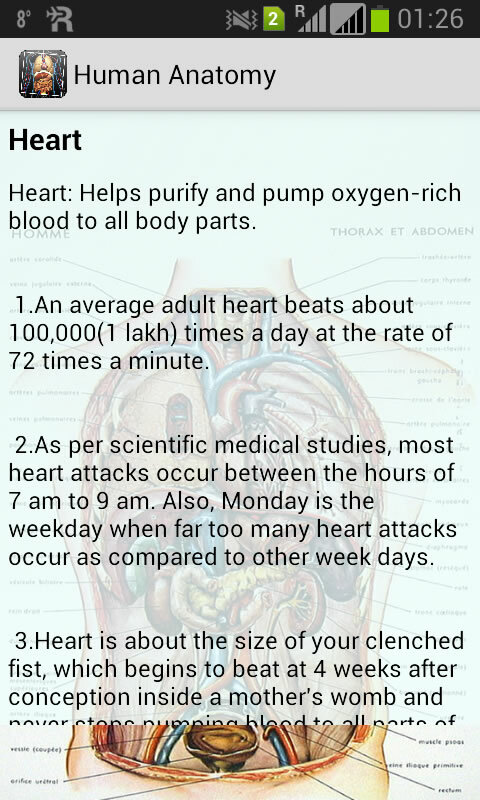 Human anatomy deals with the way the parts of humans, from molecules to bones, interact to form a functional whole. 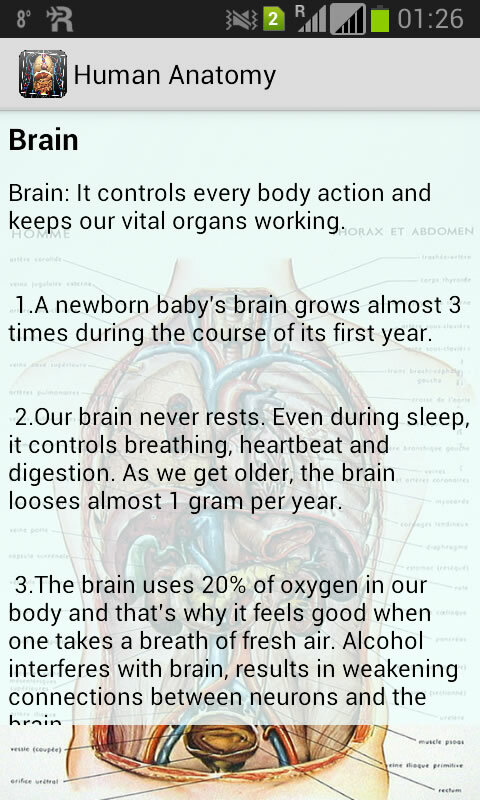 So explore the human body like never before! 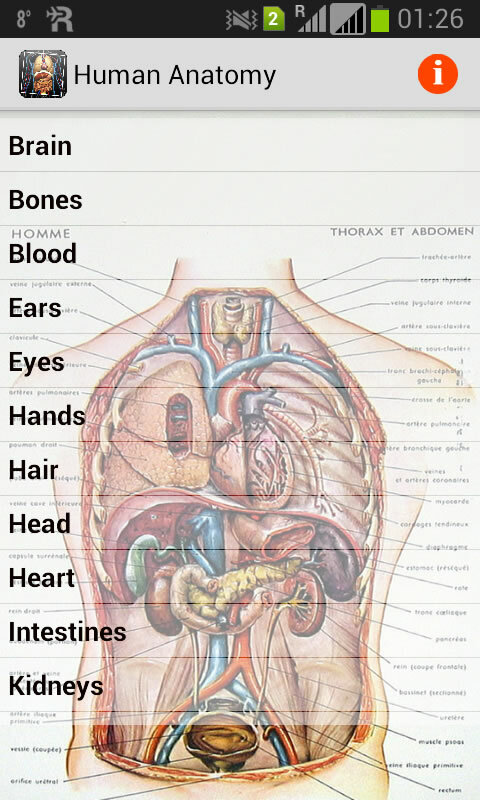 With hundreds of interactive anatomy informations and descriptions of thousands of objects in the body, this app will help you discover what you want to know about human anatomy.